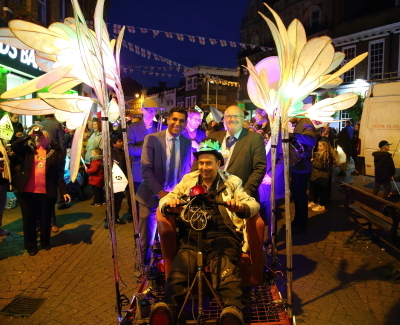 Over a thousand people participated in the 9th Dartford Festival of Light on Friday October 20th. The Festival which aims to bring the diverse communities of the borough together through the arts and to celebrate the key British values of respect, excellence, friendship and equality is now one of the highlights of the local festival calendar. The festival was split into 3 distinct parts. 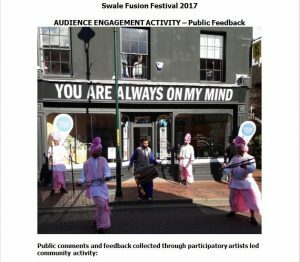 In the first part there were performances on One Bell Corner by Brass Volcanoes Jazz Band, Folk in Beats African and Asian Drumming Collective and colourful Stilt Walkers. Whilst at the same time Bloco Fogo Samba welcomed train commuters after a long week at week with their high energy Samba drumming. Then in the second part a lantern parade featuring 9 local schools led by the Mayor of Dartford Rosanna Currans, Artistic Director of Cohesion Plus Gurvinder Sandher and the Leader of Dartford Borough Council Jeremy Kite MBE went through Dartford Town Centre before finishing at the Band Stand in Central Park. Each child in the parade carried a lantern which they had made working with Same Sky Arts in the build up to the Festival. Once the parade reached Central Park which had been specially lit up for the occasion, following a short presentation to each school there was a spectacular fireworks display to finish off the evening. 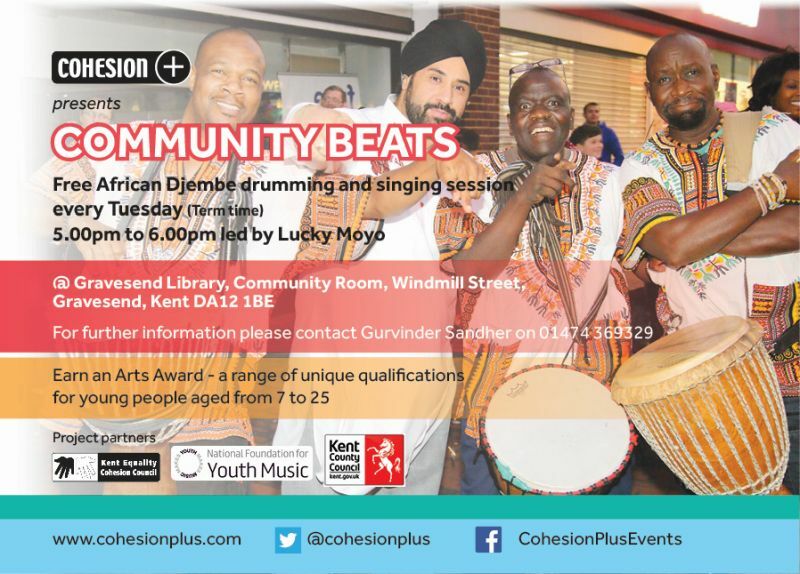 The Festival is organised by Cohesion Plus in partnership with Kent Equality Cohesion Council with the support of Dartford Borough Council and Arts Council England.